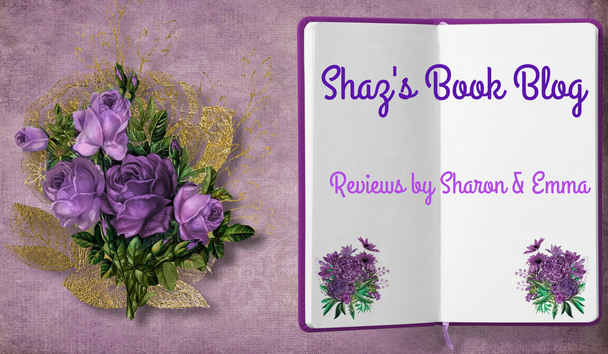 Many thanks to Penguin UK via NetGalley for my copy of The Missing Sister to review and to Sharon for having my review on the blog. 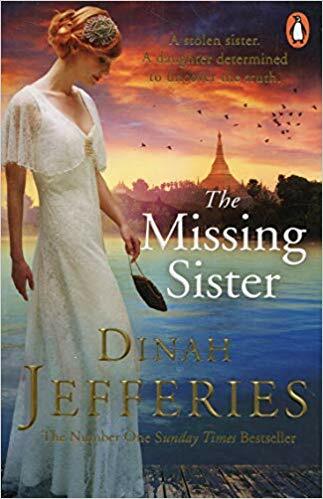 Dinah Jefferies new novel The Missing Sister takes us back many years to the exotic location of Burma in the late 1930's. It is another colonial country controlled by the British but times are changing and turbulent and it might be for not much longer that the British continue to govern the country. A young woman Belle has recently arrived in the bustling city of Rangoon principally to start a new job as a singer at a luxurious hotel but also she has a personal mission. This quest makes up the backbone of the story and the sense of mystery, secrecy and intrigue is evident from the very beginning. So many questions simmer to the surface and the tension and suspicion apparent from chapter one is maintained right until the big final, breathtaking reveal. I was instantly sucked into this story as I already have been with every book that Dinah has written and that's because the writing is excellent and so vivid. Every page is so descriptive and you get such a feel for the time and place. You are sucked back in time to a country vastly different from the one in which I presume exists today. It's clear extensive research was undertaken but also that Dinah enjoyed visiting Burma and was eager to transfer her visions and ideas on to paper in order to write a captivating story. I could feel the heat as Belle explores Burma as her journey takes her further away from Rangoon. The stifling heat and tropical climate along with the tension surrounding the plot just kept increasing and gaining in strength so you knew something would have to give in the end. I could clearly visualise the setting in my head, the bustling streets crowded with people going about their daily lives. The colourful and vibrant trees humming with wildlife. The villagers eking out an existence in the countryside and the stunning temples amidst jungle vegetation. But in contrast is the luxurious hotels and specific areas for the British where opulence is always on show. It seems they didn't ingratiate themselves with the locals rather instead they brought a slice of Britain to foreign shores and with that a secret that has been buried deep for so many years and one which Belle is determined to solve. Right from the outset I thought Belle was brave and courageous. Firstly to travel to the other side of the world on her own but it also showed how tenacious and how strong willed and purposeful she was. She had burning questions and had a strong desire for answers. At first she seemed like a fish out of water and that at every point she was met with opposition and a blank wall. For Belle is resolved to find out what did happen to her long lost sister all those years ago. Elvira was just three weeks old when she was taken from her parents garden in Rangoon. Suspicion fell upon her mother Diana with her father Douglas torn in two as to what happened. Since both upped and left Rangoon after the devastating event leaving Douglas' important job behind the enigma has remained just that. Trust is a very important word throughout this book because there seems to be a shroud of secrecy surrounding the events which changed the life of a family forever. I admired that at all times Belle followed her gut. Gloria the woman Belle meets on the boat on the way over and who seems to slot herself into Belle's life at every opportunity came across to me as if she was trying to be the mother figure but then on the other hand I was wary of her as I was of most people who featured. Gloria's brother Edward who worked in the British administration seemed to be so helpful and wanted Belle to find the answers but then again I was second guessing everyone's actions. As Belle delves deeper into the past she starts to understand why her mother was the person she was when Belle was growing up, how losing her baby so deeply affected her. What also really helped the reader to gain a more insightful understanding of the overall picture was the fact that running alongside Belle's story was the story of her mother Diana as told from her perspective. I was reading the first chapter and then randomly it jumped back to Diana without me even realising it. I genuinely thought there had been an error in the book and that I had missed out on a page or two but no it soon became clear that we were learning of Diana's experiences after her beloved child was taken and how she dealt with the blame falling upon her shoulders. How doubt, suspicion, intrigue and illness drove a family to despair. How decisions were made that had ramifications and repercussions for so many years. But now as Bella wades deeper into the seething, boiling den of complications and conspiracies danger lurks around every corner. Belle was a young woman who was so loyal to her family and she desperately needed to know what had happened and why. She wasn't one to rest on her laurels and even when things go against her and it seems as if everything is happening to throw her off track and off the scent she just keeps ploughing on. She hopes that attempting to find out the truth will make up for what she has been missing in her life and allow her to move forward but what happens if she doesn't find what she is seeking? Will she be forever left wondering and it might drive her mad? When an investigative journalist, an American by the name of Oliver, makes an appearance I was suspicious of him too. After all news reporters are only out to find the big story which will further their career. Were his intentions genuine or just too good to be true? I think I doubted Oliver because I felt that way about so many of the characters apart from Belle because of the way the story was written but I think that is a good thing as I was really left guessing right until the moment Dinah had chosen to reveal all to her readers. As Belle falls deeper into a bigger picture she wonders should she just stop and give up everything seeing as trouble, threats and warnings meet her at every turn. She worries about things she can't change but as answers come within touching distance I was urging her on. The union she had struck up with Oliver could have been fruitful after all if only she could keep pushing through and emerge even stronger and successful out the other side. Dinah Jefferies has once again written another brilliant book that reels you in from the first page and doesn't relinquish its grasp until the final word. I felt initially it was a slow burner but then the tension just grew and grew and I was as eager as Belle to discover all the secrets. It was an interesting, detailed and absorbing read which shows what a talented and impressive author Dinah Jefferies truly is and reaffirms why I love her books so much. I'm already looking forward to what part of the world she will take us to next and what brilliant story she will bring us.